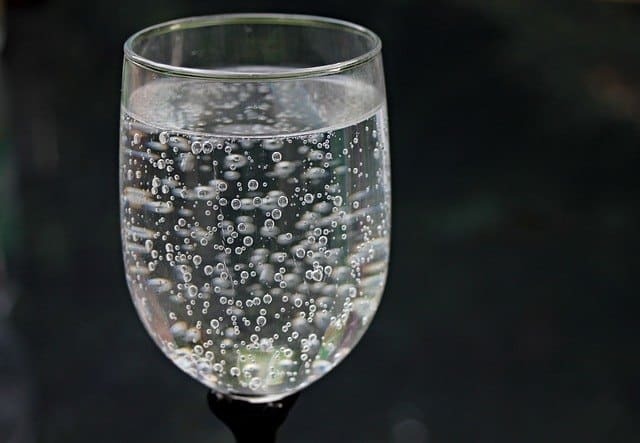 Water is one of the essential beverages towards a healthy lifestyle. 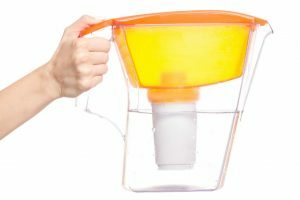 So, let’s talk a bit about the best sediment filter for well water and why would such an item would be considered the “best” of its kind. There’s an ancient saying that goes something like “Treat your body like a temple.” This means that any individual should be at least cautious, above all, when it comes to things that go into his or her body. In most parts of the world, water is clearly accessible. However, lack of infrastructure or funding, or just through a stroke of bad luck, therefore lead to inaccessibility of high-grade drinking water in the rural areas. 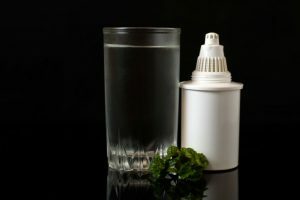 As such, people might need to drink well water, which undeniably comes from a natural and unregulated source. Fortunately, with the help of modern technology, well water can be pumped into a household’s network with a small investment, hence, giving its tenants sufficient running water. Nevertheless, the water must still meet high-quality standards, so it’s smart that, in such cases, the residents invest in a sediment filter. 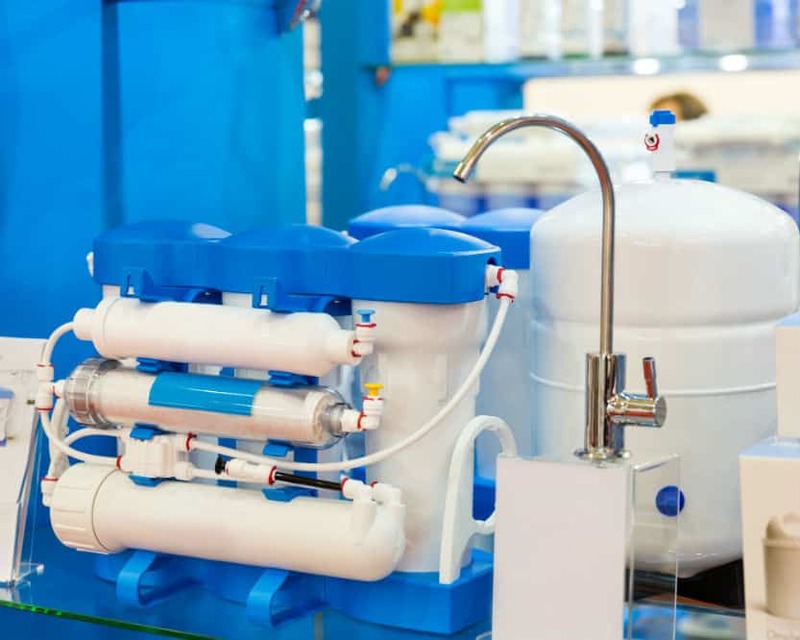 Hence, let’s take a look at three of the top choices for well water sediment filters. The Aquaboon 5 Micron Grooved Sediment Water Filter is a great choice for those looking for a quick and safe way of turning well water into potable water. Moreover, the six packs of filters indicate great value and the materials used make it a “not-too-shabby” choice. Made using polypropylene, this filter pack can be used with different types of plumbing systems. You just need to check the manufacturer’s recommendations to ensure that this product is compatible with your home or office plumbing system. 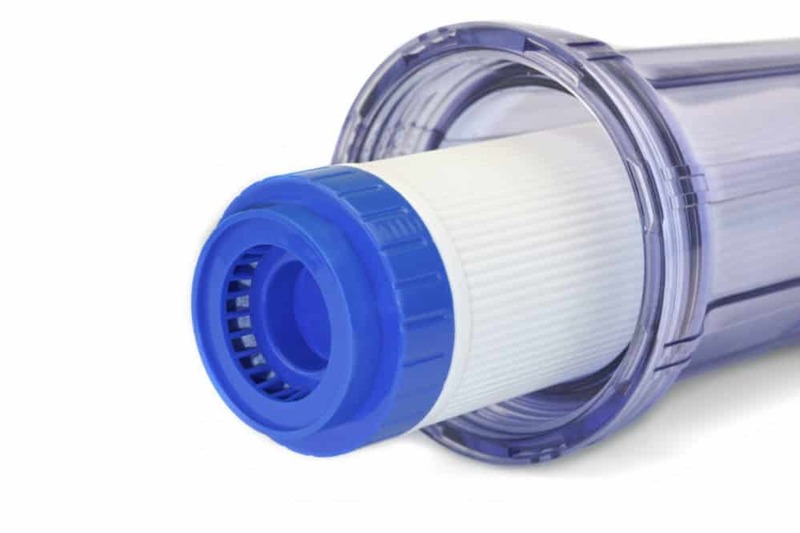 The Aquaboon 5-Micron Filters uses a four-stage filtration system, which means that from the interior to the exterior, the water goes through four different types of layers, all having different densities. 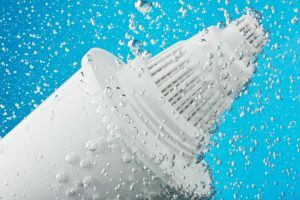 This has a great advantage because if particles manage to get past the first two to three layers, the fourth layer, which is the finest, will make sure that nothing but crystal-clear water comes out from the taps, showers, and appliances. The filtration process is simple as there are no chemicals involved. Everything just boils down to the filter’s particle size. With a size of five microns, particles except for bacteria and other microorganisms will not pass through the filters. 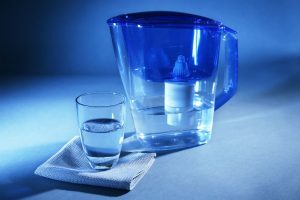 Thus, make sure that the water supply you plan to filter is still well-treated before opting for this product. 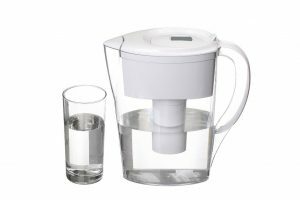 Therefore, it’s a great value choice, giving the user years of filtered water for a nominal price point. 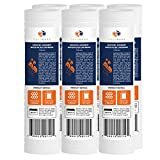  [Dimensions] 10 inches x 2.5 inches - 6 Pack Of 5 Micron Grooved Gradient Density, Multi-Layered, Melt Blown Sediment Filter Cartridges. 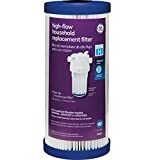 Universal water filter replacement fits any standard 10 inch RO and Whole House systems.  [Quality Filtration] Made of thermally bonded 100% Pure POLYPROPYLENE Microfibers. Whole house sediment filtration. 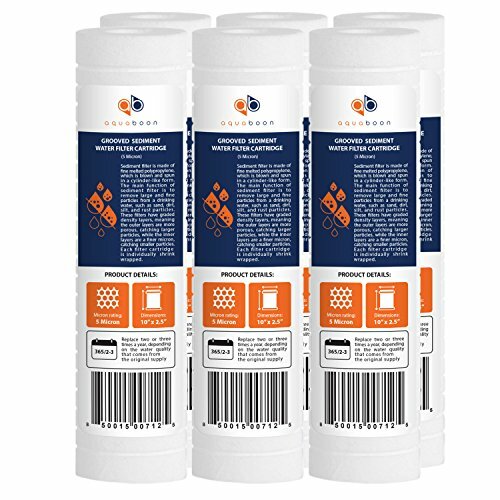 Contains no binders, agents, solvents, antistatic materials or wetting agents. 5 zones of filtration to ensure quality and remove more contaminants, large and fine particles from a drinking water, such as sand, dirt, silt, and rust particles.  [Lifetime] 4 - 6 months / 20000 - 30000 gallons (depending on the water quality). Replace for great taste of your water.  [COMPATIBLE HOUSINGS] Dupont PF 2800 Series Housings, PF 3800 Series Housings, WFPF38001C. Fits most 10 inch Reverse Osmosis and Whole House filter systems. 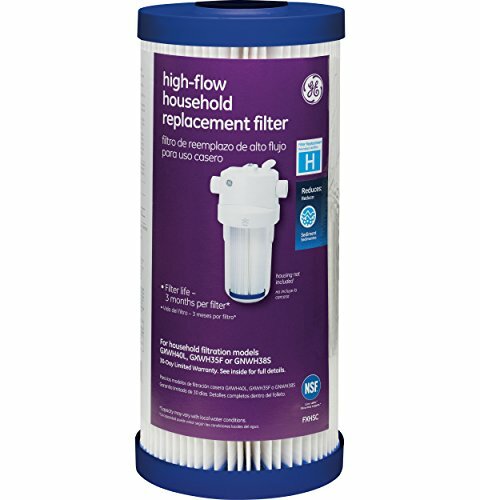  [Compatible Replacement Filters] 3M CFS110, American Plumber WP5, Aqua-Pure AP110, Bunn ED-S-1, Cornelius COR105, COR120, CostGuard P5, Cuno AP2005, CFS110, Dupont PFC5002, WFPFC5002, Everpure DEV9109-08, Hydronix SGC-25-1005, Manitowoc K-00069, K-00173, NuCalgon 4712-87, OmniFilter RS14, RS14DS, RS14-DS, RS14SS, RS14-SS, RS4-D, RS4DS12, Pentek 155749-43, P5, PD-5-934, PureMark PFS105, Selecto 101-230, Whirlpool WHCF-GD05, Pentair DEV9109-08, Pentair Water PD-5-10, Neo-Pure MBG-25098-05, etc. Rusco Inc. is a USA-based company that has been manufacturing water sediment filters for homes and industrial buildings since 1983. The Rusco Screened Spin-Down Filter System is one of their products that is considered to be a high-flow filter alternative to classical filters. 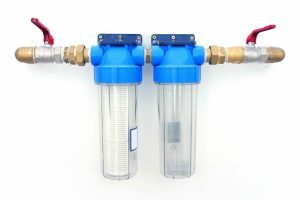 The Rusco Screened Spin-Down Filter System is a reusable, complete filtration system; thus, the purchase also includes the casing and connectors required to set it up. This means that it brings some advantages and disadvantages to the table that are different from other market solutions. First off, it requires a different type of setup, which is more complicated than just swapping filters. Apart from cleaning, it also requires measuring, cutting and connecting plumbing elements. This might be a turnoff for people who, in particular, aren’t that handy or who simply don’t have the time. It’s durable and will furthermore provide you with a lot of savings in the long run. However, this filtration system isn’t all that fancy, since it is only equipped with polyester screens, which is a stand-in for more reliable alternatives. The resin design is quite durable. However, in contrast with the PVC connectors, they might interact poorly with more durable types of materials. Along with this, it is also important to note that it may result in leaking and therefore, tear in the long run, due to threading into copper piping. From certain perspectives, it’s better than the other two products on the list, but most users will find replaceable and finer filters to be the way to go. The Rusco sediment filters use centrifugal separation technology to filter sediment from water. The Rusco clear cover is made of high impact polymer resin for maximum strength and durability. The top of the Rusco system is made of PVC. The Rusco filtration system has a polyester screen filter. Most of us, if not all, are familiar with the company GE Appliances. However, only a few know that they actually manufacture filtration systems. Therefore, it is really important to keep track of its products and also, to what they can offer you. They have established their brand worldwide, and above all, one of the products that they are proud of is the GE Household Pre-Filtration Sediment Filter. Importantly, the GE Household Pre-Filtration Sediment Filter is designed to trap multiple types of contaminants like sand and bacteria, in particular. In addition, this is also capable of removing bad chemicals, especially chlorine, odor and taste. Also, what is better is that it can eliminate rust odor and taste that might be due to your old plumbing system. Indeed, it can filter a maximum amount of 30,000 gallons of water. Therefore, this sediment filter also does not require regular replacement. In average, this is about three months. 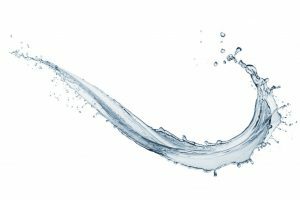 While its three to 10 gallons per minute water flow isn’t so great, it should be noted that it is within the comfort zone for drinking water. In conclusion, out of the three products, the best sediment filter for well water is obviously, the GE Household Pre-Filtration Sediment Filter. Even though, it is not as high as what the Rusco filter provides in terms of water flow, it is, without a doubt, not as slow as other common filters. In addition, what really matters is it has unrivaled filtering capabilities, and also, an awesome value. Moreover, it comes from a reputable manufacturer making it even stronger to back up each of its claims.